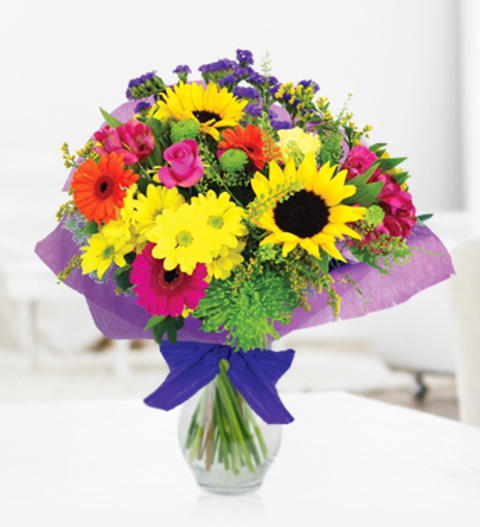 Our Fete du Soleil bouquet is an energetic display of colourful blooms sure to brighten anyone's day. Sunflowers and germini are playfully arranged with pink roses, chrysanthemum and fresh forest greens. This bouquet is skilfully arranged by our British florists and hand delivered to your recipient. Available for UK same day delivery when ordered before 3pm. Please not Sunflowers may be substituted for flowers of equal or greater value out of season.